Visual Supply Co (VSCO) aims to provide unparalleled aesthetics of an analog photograph into a digital format. VSCO's Film Packs provide "revolutionary presets and camera profiles to streamline your workflow and produce beautiful results". For the past year I would lie saying that I haven't processed an image without using a Film preset in Lightroom. With the growing success of photographers and enthusiasts adopting towards VSCO's Film Presets for their editing needs, how would the company expand its offerings? VSCO Cam was introduced to the iOS platform as the "Standard of Mobile Photography". Building on the growth of VSCO Film, VSCO Cam is aimed to offer a minimalist and and powerful photography experience for mobile users. 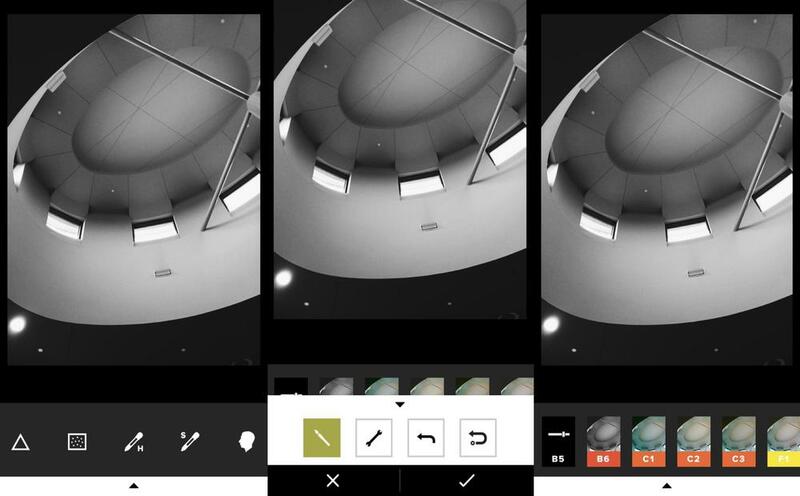 It's simplistic interface provides a dynamic editing experience for your mobile images. You can view the content made with the app by searching for the #vscocam hashtag on Instagram. "We believe VSCO Cam will change people's perceptions on camera phone photography. No one wants to spend hours meticulously editing photos on their phone. VSCO Cam delivers beautiful results in a quick and efficient manner - get in, get out and get on with life." A year later VSCO confirmed that the app would publicly reach Android users soon. For the past four months I've been testing out VSCO Cam for Android. If this app can bring an additional sense of character to an image then it should be on every single phone, right? The app has a clean design element to it. There's remotely no huss and fuss with gestures and buttons. From the library, you can swipe left to be prompted with a panel that gives you an array of sections to select. The app has a fast and intuitive learning curve. When I initially used the app on my iPhone at the time I found tools to be easily accessible and it still applies to my use of the app today. VSCO Cam enables you to quickly edit images with an intuitive interface so you can instantly share them on social networks. You're also given the option to view content from VSCO's Blog from the app including weekly VSCO Cam selects that are chosen by adding the #vscocam hashtag on Instagram. With the addition of having a intuitive interface you instantly notice the disposal of various tools to enhance your image. The control of colours, highlights, exposures and shadows are a glimpse of the convenient tools offered. If you click on the plus button you'll be able to import images located in your device. Double-tapping on a preset lets you set the value of how you want it to affect the photo. Clicking the black arrow within the white border gives you the option to select a preset, edit the image, undo your last action, and revert the image back to its original state. There's a lot of editing options that the app offers that make it hard to go to other apps due to it's minimalistic interface. After you're done editing the image, you can 'go back' and flag it as a favourite few information about the image (location it was taken at, ISO value and aperture size) and share it to social networks including VSCO's own minimalist publishing platform called VSCO Grid. "VSCO Grid lets people discover new creatives and their work, but VSCO Grid™ is focused on craft, curation and content, and less on followers and likes." VSCO Grid is integrated into the app, so you could edit your profile from your phone or add new images to your gird. Frankly, you can't view others GRIDS within the app. For now you'd have to view other GRIDS in your phones browser. For those wondering, no, this isn't a social network. It doesn't end there. You're probably asking why you should use this instead of your default camera app, huh? The top right button found on the camera viewfinder lets you switch between your phones front and back facing camera. VSCO selfies anyone? The tool handle on the top left lets you enable or disable your flash. You'll have the option to have a rule-of-thirds view before taking a picture. There's also an option to let you tap anywhere on the screen to capture an image or you can use your phones volume controls to take a picture. Taking a picture on my HTC One is fast and focusing on a subject matter is snappy in daylight, but can get a little slow in a dark setting due to a lower shutter speed. A sweet spot for the camera is the ability to split focus and exposure - letting you focus on something and click somewhere else in the frame to set the exposure value. Unfortunately it's currently unavailable until further notice, so I'll update this part until the option is present again in the app. When you first launch the app you're given 10 default presets, but you have the option to purchase a bundle of all 38 available presets. These presets range from emulating instant film to giving your images a rich and vivid tone. For the past 4 months, VSCO Cam has been my go-to app for capturing images and editing them. There's a reminiscent and complimenting feel of having an analog tone towards images and having the same experience on my phone. VSCO Cam gives me the best of both worlds for having a fast and powerful camera app on Android and with Googles upcoming Camera API update, apps such as VSCO Cam can really enable Android to be a serious mobile photography platform. My Instagram and VSCO Grid contain images I've taken with the app for the past 4 months. Below, you can view a few images taken with the app.